AMD Ryzen 7 1700 Overclocking - Best Ryzen Processor? - Legit ReviewsIs The Ryzen 7 1700 8-Core Processor For $329 The Best Value? 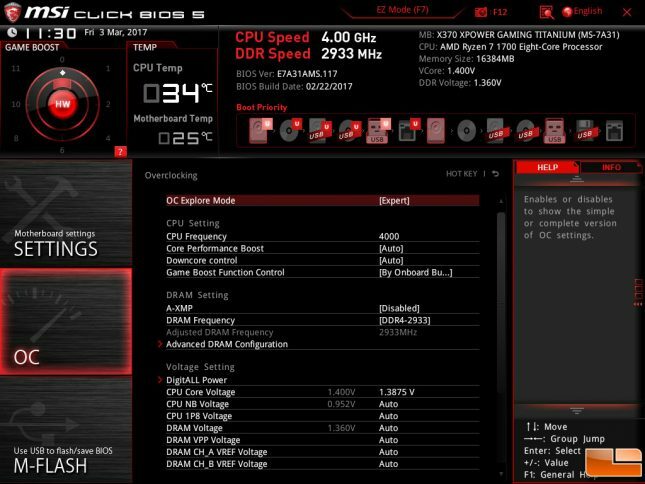 Legit Reviews Processors AMD Ryzen 7 1700 Overclocking – Best Ryzen Processor? 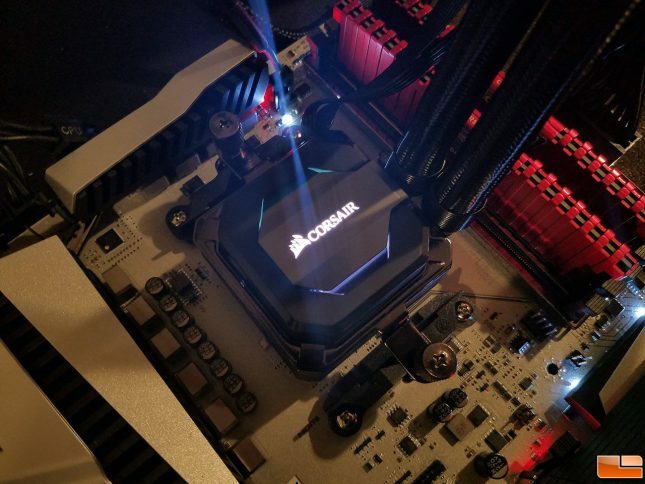 AMD Ryzen 7 1700 Overclocking – Best Ryzen Processor? Is The Ryzen 7 1700 8-Core Processor For $329 The Best Value? On Thursday, Advanced Micro Devices (AMD) launched their Ryzen 7 processor series and we looked at all three processors in our launch article. 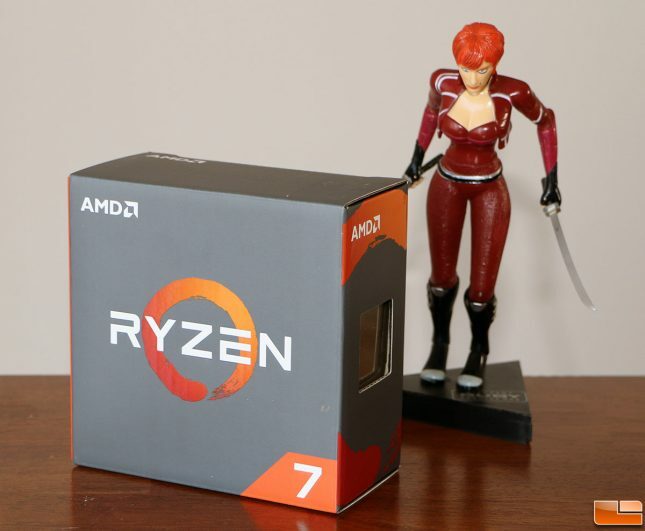 Over the past several days we’ve been able to spend more time with the Ryzen 7 1800X, 1700X and 1700 and we’ve found ourselves really starting to like the Ryzen 7 1700 processor the best from an enthusiast perspective. For starts the AMD Ryzen 7 1700 is the lowest price processor of the group at $329.99 shipped and it just happens to be the only model that comes with an AMD Wraith CPU cooler. The best part about the Ryzen 7 1700 is that it overclocks like a champ compared to the other models as we’ve been able to get it up to 4.0 GHz on all cores with just 1.3875V on the CPU Core Voltage! The multi-threaded benchmarks at 4GHz on Ryzen are damn impressive as you end up with a low-cost platform that can more times than not beat the Intel Core i7-6900K that just happens to be priced at $1,021.97 shipped. 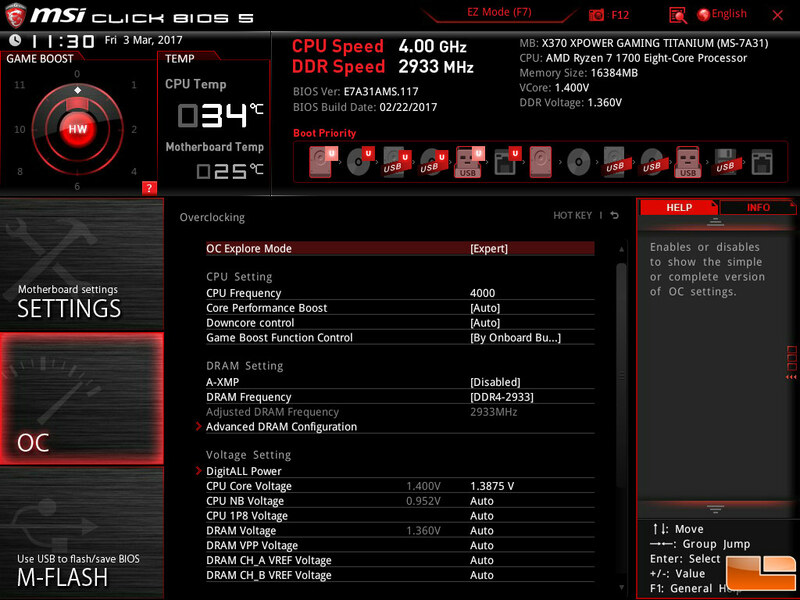 This processor hasn’t gotten much attention this week, but we feel it is a sleeper and a really good value for those that are comfortable with overclocking. 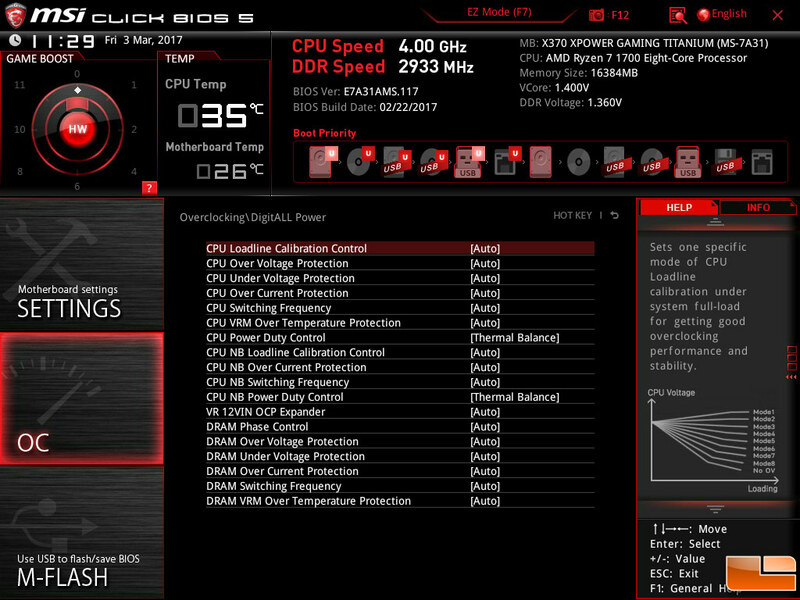 We did our overclock on the MSI X370 XPower Gaming Titanium motherboard ($299.99 shipped) and have had very few if any issues with this board using UEFI 117 that was released on February 22nd, 2017. The board takes longer than we would like to go through the boot cycle, but once it is up and running it we’ve found it to be a pretty good board. 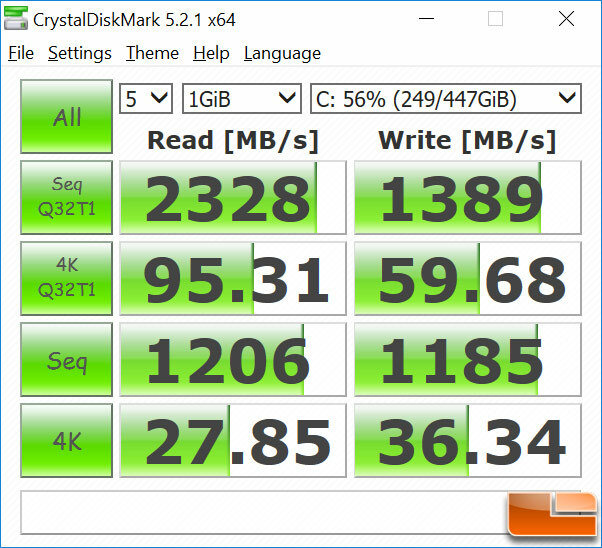 The M.2 PCIe NVMe SSD performance is solid on our Corsair Force MP500 480GB drive (check out our dirty drive scores on a half full drive) and we’ve have no issues with any peripherals yet. That’s all good news as the MSI X370 XPower Gaming Titanium motherboard is the most expensive AMD X370 board on the market right now, so it better be damn good. 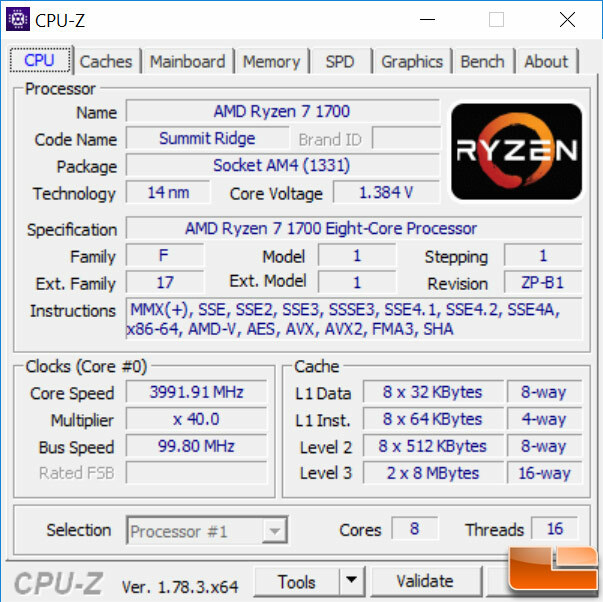 Overclocking the AMD Ryzen 7 1700 processors was very simple to do as we just needed to raise the CPU Frequency up to 4000MHz and then increase the CPU Core Voltage from ‘Auto’ up to 1.3875 V. The system would crash in the AIDA64 and Prime95 system stress tests at 1.3750 V, but was rock solid with bumping up the voltage to the next step up (1.3875V). No other voltages needed to be altered to take the all-core clock speed up to 4.0 GHz! The good news continues as we were able to get this overclock stable on both the Noctua NH-U12S SE-AM U-Type Tower Cooler ($57.99 shipped) and the Corsair Hydro 110i Extreme Performance Liquid CPU Cooler ($134.99 shipped). 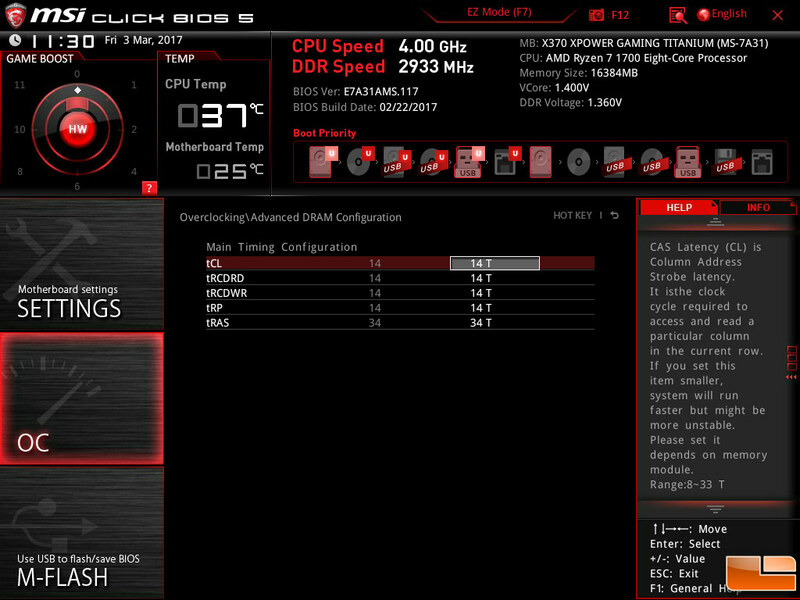 The temperatures were of course better on the water cooler, so that is what we stuck with for our benchmark testings. 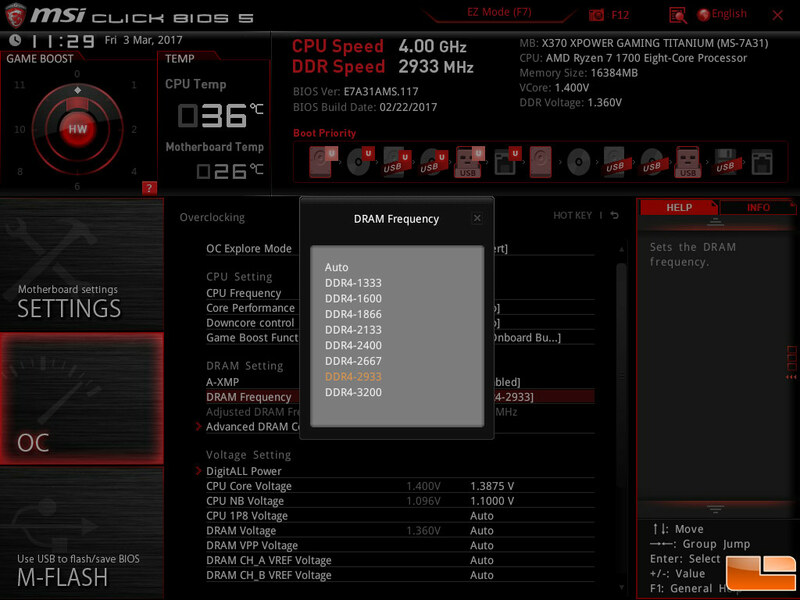 Let’s take a quick look at the test system and then get straight to the benchmarks!